What is SPECIFIC Canine Special Care Heart & Kidney Support wet food? SPECIFIC Heart & Kidney Support is a complete and balanced wet food for dogs with reduced heart, kidney and/or liver function. It is also designed to help prevent the formation of calcium oxalate, urate or cystine stones. What are the benefits of using SPECIFIC Canine Special Care Heart & Kidney Support wet food? 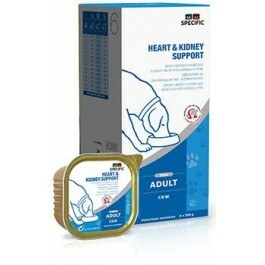 What is in SPECIFIC Canine Special Care Heart & Kidney Support wet food? Crude Protein 4.2g, Crude Fat 4.5g, Carbohydrate 15.7g, Crude Fibre 1.2g, Calcium 0.1g, Phosphorus 0.07g, Sodium 0.04g, Potassium 0.33g, Zinc 7mg, Copper 0.1mg, Taurine 0.08g, L-carnitine 20mg, Omega-3 0.68g, EPA 0.24g, DHA 0.3g, Water 73.5g, Ratio n-3:n-6 1:1. 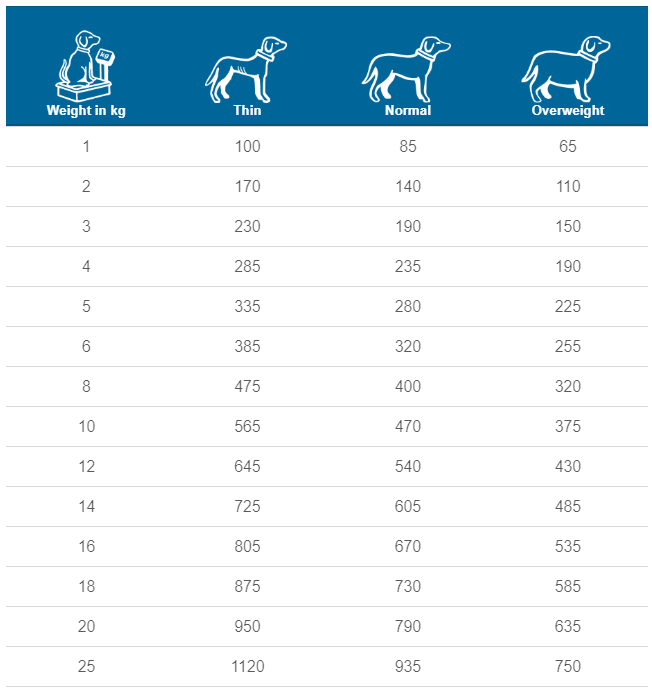 How much SPECIFIC Canine Special Care Heart & Kidney Support wet food should I feed?